Featured in the Knitty Spring + Summer issue 2016! 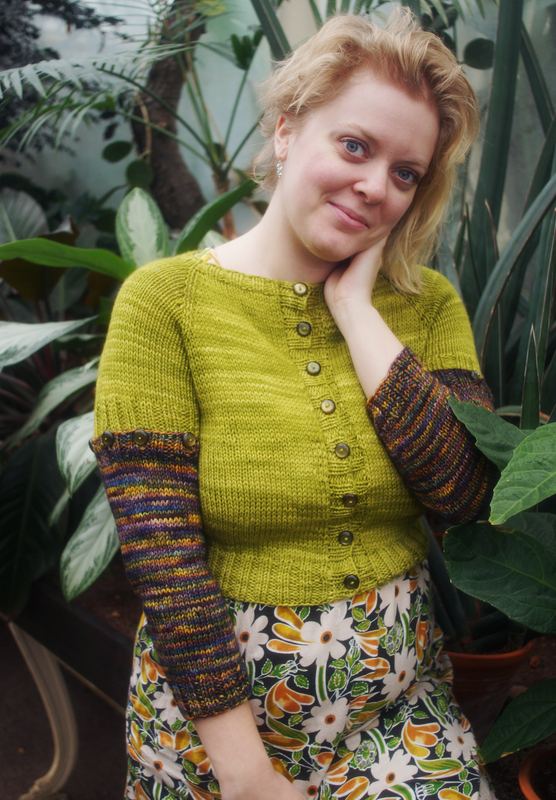 Mejram, which is Swedish for the spice marjoram, is a handy and versatile piece to have in your wardrobe! Using only small amounts of yarn, you get a chic little cardigan that easily transitions between temperatures. On warmer days, go for bare arms or short sleeves, and on chilly days just button on your 3/4 lengths! 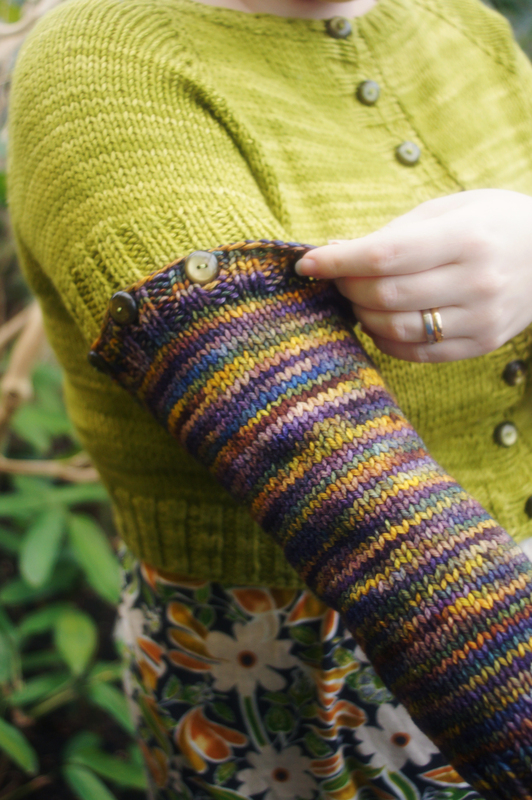 Make several pairs of sleeves, play around with colors, or have a dig around in the scrap yarn stash – the possibilities are endless. 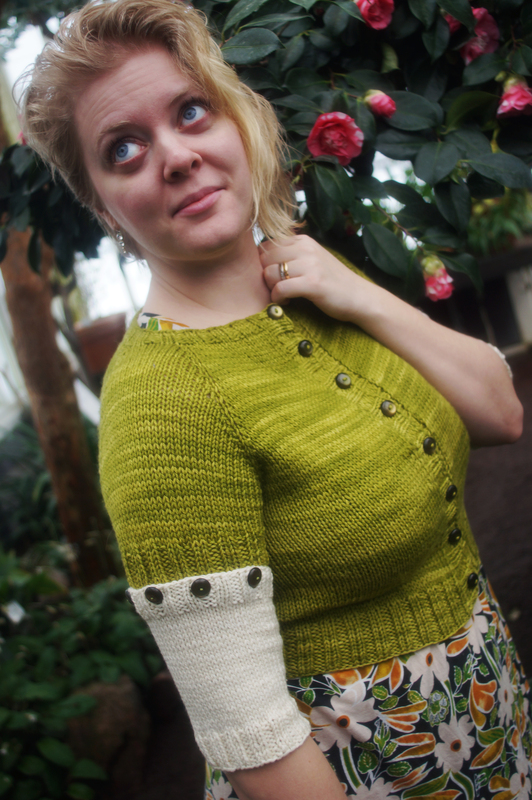 Mejram is a quick knit worked from the top down in worsted-weight yarn. The body is worked first, followed by front and sleeve edgings. Short or 3/4 length sleeves are then worked as separate pieces with button bands. Attach as you please, or just go without – a great opportunity to show off some beautiful buttons.